The big news in the business world at the end of last week and over the weekend was the publication of the examiner’s report in the Lehman Brothers bankruptcy case. The mainstream media jumped all over the report as a precursor to criminal indictments of former Lehman executives because of allegations in the report (that’s all they are at this point) that Lehman used repo 105 transactions at the end of several quarters to make its balance sheet look more attractive than it really was. Fancy that, executives trying to stem a run on a trust-based business! Despite the gathering MSM lynch mob, the truth is that the examiner’s report is shaky grounds, at best, for criminal indictments against former Lehman executives. As folks who are experienced in bankruptcy realise – but those who aren’t don’t – an examiner’s report is hardly an objective analysis of a debtor’s affairs. Bankruptcy examiners are highly incentivized to recommend as many legal actions against the debtor’s insiders and counterparties as possible. The fruits of those legal actions inure to the benefit of the bankruptcy debtor’s creditors, which is really the only constituency in most bankruptcy cases that really can effectively challenge an examiner’s compensation. As a result, feather nesting is not an unusual tactic of bankruptcy examiners. Moreover, examiner’s reports in bankruptcy cases are far from dispositive. I haven’t read the Lehman examiner’s report yet, but I’m sceptical of the MSM’s initial rave reviews. The Enron examiner’s report met with similar early favourable reaction, but it turned out to be chock full of plain factual errors and dubious conclusions based on those errors. For example, the MSM’s reporting of the examiner’s conclusions regarding the timing of the repo 105 transactions doesn’t make sense to me. As I understand those transactions, they improved Lehman’s balance sheet by increasing its liquidity position at the end of several quarters through converting non-liquid assets to cash. When Lehman repurchased the assets after the date of the financial statement, the balance sheet didn’t change much except for showing less liquidity because the repurchased asset – which went back on the balance sheet after the repurchase – was probably worth more than the liquidity used to repurchase it (I seriously doubt that the sharpies who were dealing with Lehman as it was going down in flames were consenting to using Lehman’s trash assets in the repo deals). At any rate, Peter Henning and Larry Ribstein have both done a good job of analysing the main problem facing the Lehman insiders from a criminal standpoint. It is different and potentially more troublesome than the honest services wire fraud theory that was the basis of most Enron-related prosecutions. That is, the Lehman executives are subject to the provisions in the Sarbanes-Oxley legislation enacted after Enron’s bankruptcy that impose criminal liability on executives who falsely certify the (i) accuracy of the financial statements and (ii) absence of deficiencies in internal controls regarding the preparation of the financial statements. By the way, although Henning’s analysis is quite good, his analogy of the repo 105 transactions to the Nigerian Barge transaction in the Enron-related criminal prosecutions is a stretch. The Nigerian Barge transaction was a relatively small deal in which Enron – about an $80 billion market cap company at the time — sold its interest in the Nigerian barges to Merrill Lynch to make a $12 million profit at the end of the particular quarter. On the other hand, the examiner alleges that Lehman was using repo 105 transactions to raise $35 – $50 billion of liquidity at the end of several quarters. Big difference. Also, flying beneath the radar (as usual) is current Treasury Secretary Timothy Geithner and former Treasury Secretary Hank Paulson’s role in all of this. As closely as Geithner (as head of the New York Federal Reserve) and Paulson (as Treasury Secretary) were monitoring Lehman during much of this time, it strains credulity that Geithner and Paulson didn’t have at least some idea of what Lehman was doing to make its balance sheet as attractive as possible. Both Geithner and Paulson were intimately involved in attempting to broker a Bear Stearns-type bailout of Lehman. 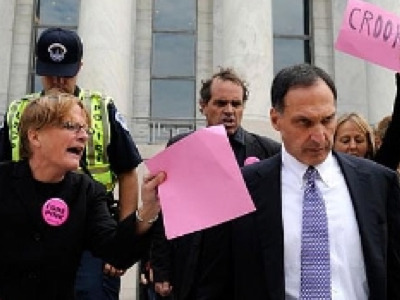 So, if Geithner and Paulson knew what was going on, then how on earth is the federal government going to single out Richard Fuld and other former Lehman executives for criminal conduct? Which brings us to the real lesson of all this – that is, the inherently fragile nature of a trust-based business (related posts here) and the misguided nature of the notion that more governmental regulation will somehow protect investors from the next bust of such a business. Larry Ribstein has been insightfully pointing out for years that more regulation of those businesses will not prevent the next meltdown, just as the more stringent regulations added under Sarbanes-Oxley after Enron’s collapse did not prevent Lehman Brothers from failing. More responsive forms of business ownership certainly are a hedge to the inherent risk of investment in a trust-based business. But also helpful would be better investor understanding of the wisdom of hedging that risk and the importance of short sellers in providing information on troubled companies to the marketplace. The lesson here is that pursuing high-profile criminal prosecutions in Lehman after the problems with such prosecutions in these situations proved so manifest in Enron would prove that after a decade of hugely costly trials and a massive new law that was supposed to change everything, we still haven’t learned a thing about the unsuitability of criminal liability for these kinds of cases.